Belize is a nation-state on the eastern coast of Central America. It is the only country in Central America whose official language is English, though Belizean Creole (Kriol) and Spanish are also commonly spoken. Belize is bordered on the north by Mexico, on the south and west by Guatemala, and on the east by the Caribbean Sea. Its mainland is about 290km long and 110km wide. Belize has a diverse society, composed of many cultures and languages that reflect its rich history. Originally part of the British Empire, it shares a common colonial history with other Anglophone Caribbean countries. From 1862 to 1973 the area went by the name of British Honduras. It became an independent Commonwealth realm in 1981, retaining Queen Elizabeth II as head of state. 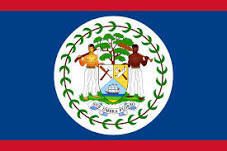 Belize is known for its September Celebrations, and is the birthplace of chewing gum and punta music.